You guys asked for it and you shall receive!! 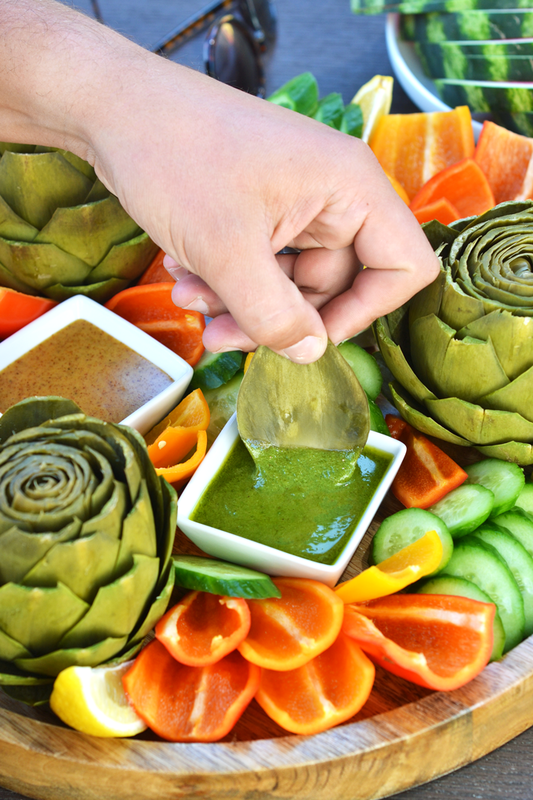 A few weeks ago I made this Whole30 Artichoke Platter for a get together and so many people on Instagram asked to get the recipe! 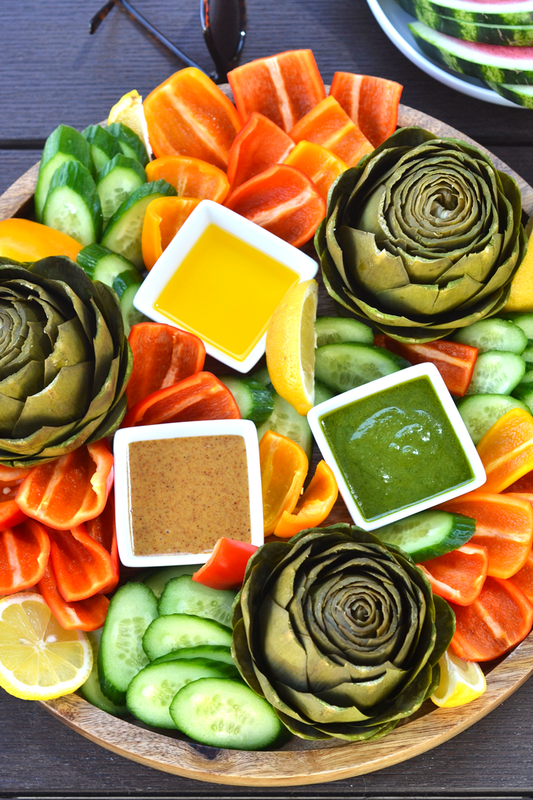 I thought it was just the perfect time to share this fabulous and fun appetizer you can bring to any event this summer! 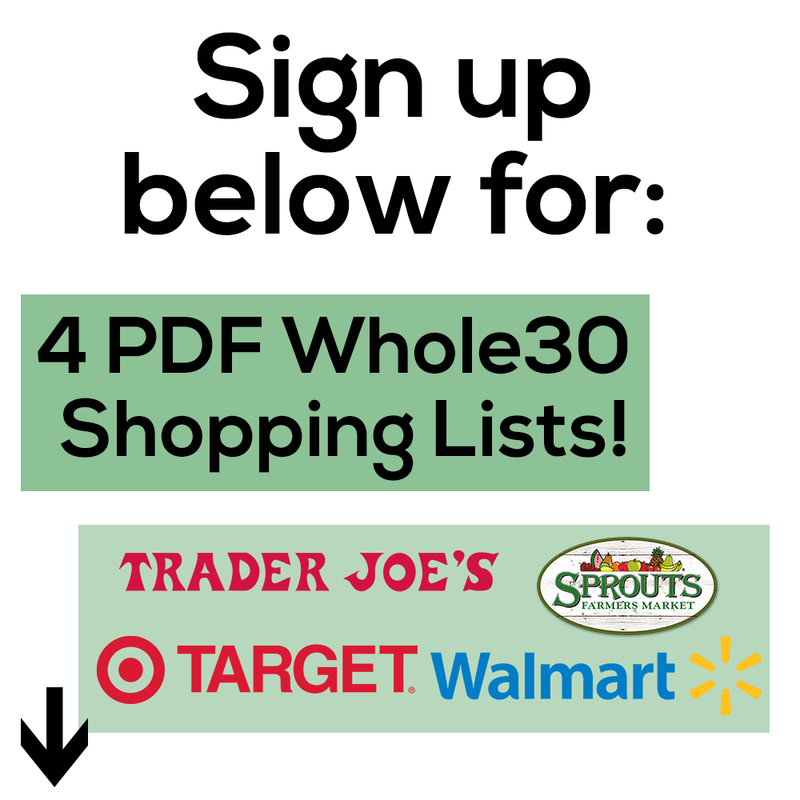 First of all, if you are doing a Whole30 during the summer, I commend you!! It is so tough to stay on track during these warm months when parties and barbecues happen every weekend. 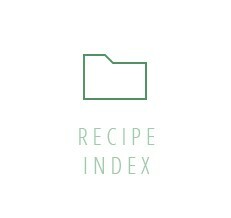 But on the flip side, fresh fruit and veggies and grilled meats are abundant so if we just jazz some recipes up we can totally make this summer a health food haven! 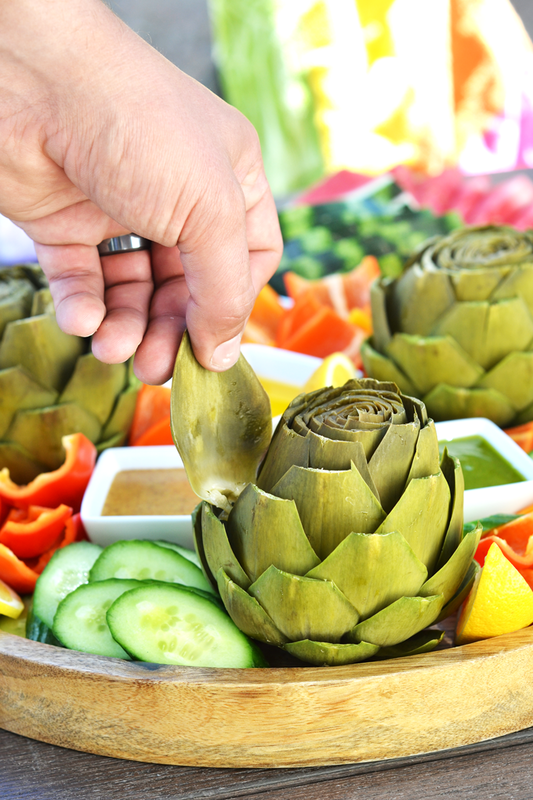 This platter came together thanks to my friends at Ocean Mist Farms who make THE BEST artichokes in all of the land! If Artichokes are one of those things that kind of scare you (they totally scared me at one point), fear not! I am going to walk you through how to prepare them, cook them and dip them in 3 of my favorite dips – curry almond, pesto & lemon garlic ghee. 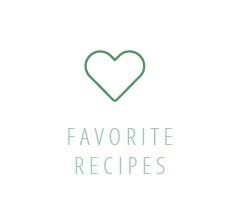 These artichokes are grown all over California and the lovely people at Ocean Mist Farms have a map of where they grow, recipes and all of the artichoke tips you need on their website! And do you know what else they have on their website!? A flipping amazing sweepstakes to win a getaway for two to any Sandal’s Resort of your choice!! There will also be multiple cash winners and all you have to do is fill out this little survey on their site! I am pretty sad I can’t enter to be honest because DANG I would love a tropical vacation right about now!! Well really, when couldn’t you use one? 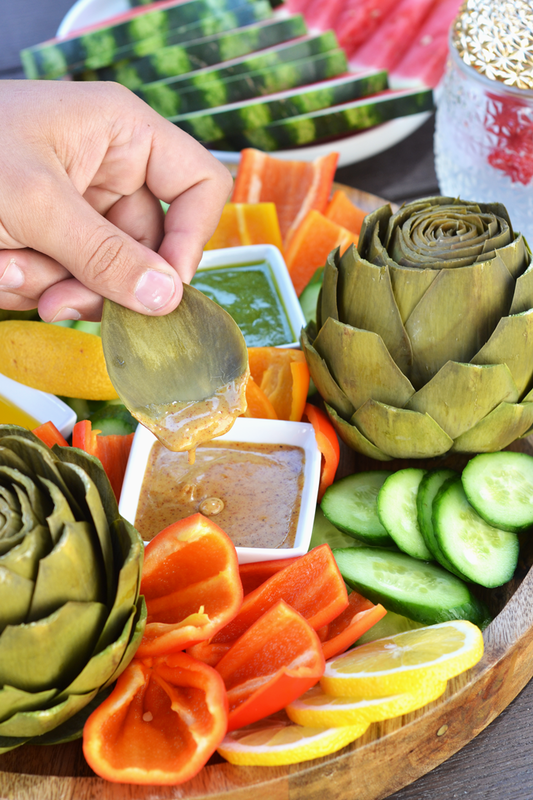 At least for now, until we get the vacation of our dreams, we can sit in our backyards with a cold kombucha and this Whole30 Artichoke Platter!! The other great thing is that this platter really impresses your guests. 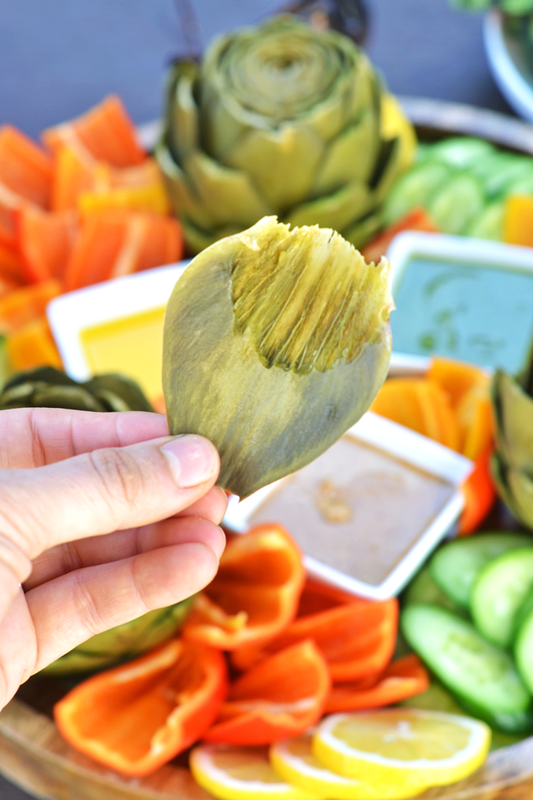 Artichokes are something that you normally order at restaurants so they just feel special! But trust me they are so easy to make and I will show you how right now! Get ready for LOTS of photos. First: Trim off the bottom of the stalk. Then clip off those spiky tops of the leaves with some kitchen shears! 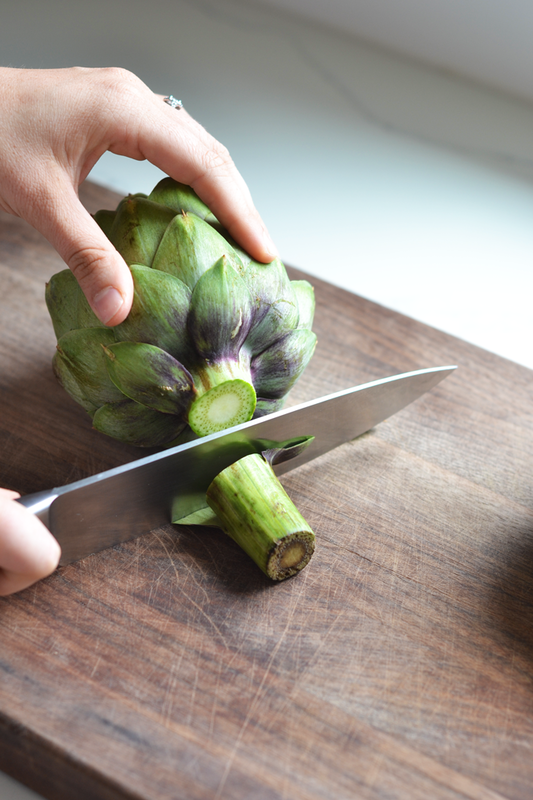 Then you chop off a bit of the top of the artichoke and boil them for about 20 minutes or until a leave can be easily pulled off! THAT’S IT!! Then you plop them on a platter with some other veggies and your 3 simple dipping sauces. This post is sponsored by Ocean Mist Farms. I was compensated and all opinions are 100% my own. Thank you so much for supporting Little Bits Of! The perfect pull and the perfect hubby hand!! The pesto dip is dairy free and uses walnuts because who has the cash for pine nuts?! CURRY ALMOND!!! 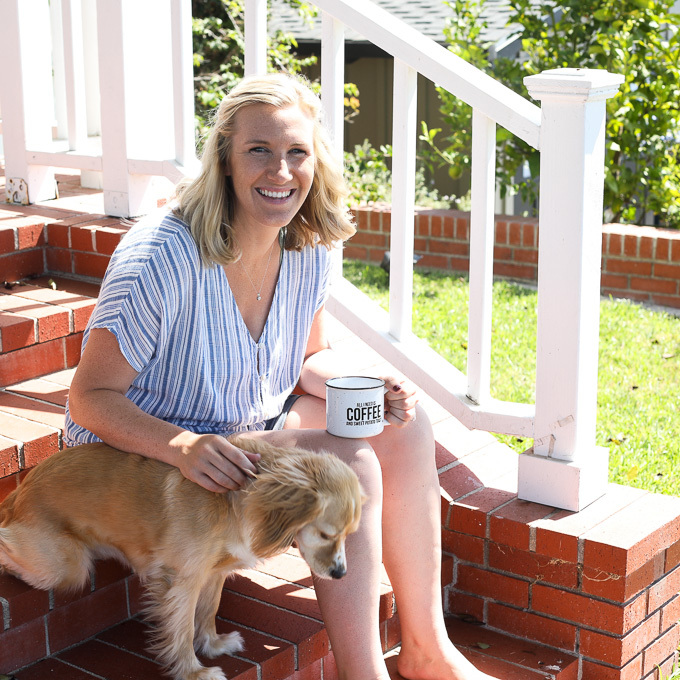 This one is everything and I also have a version of it in this post! The art of eating an artichoke is all about technique use those teeth and GET THAT GOODNESS! 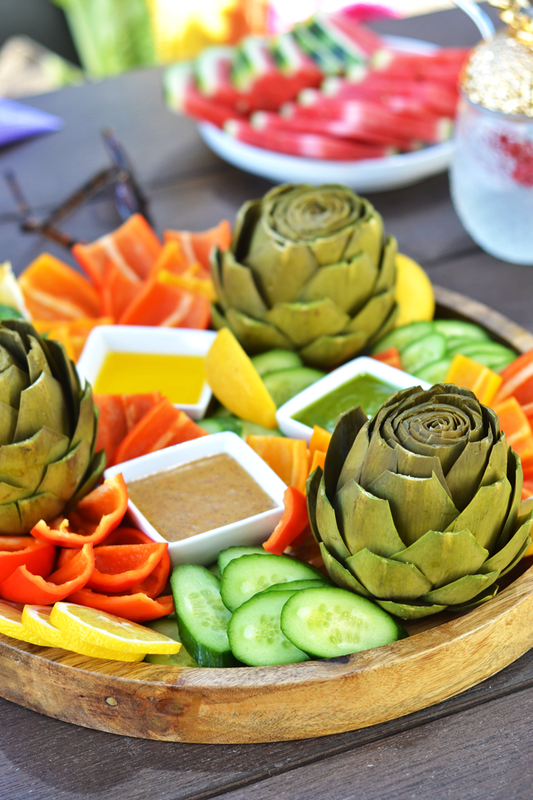 Pin this Whole30 Artichoke Platter and make it all summer long! 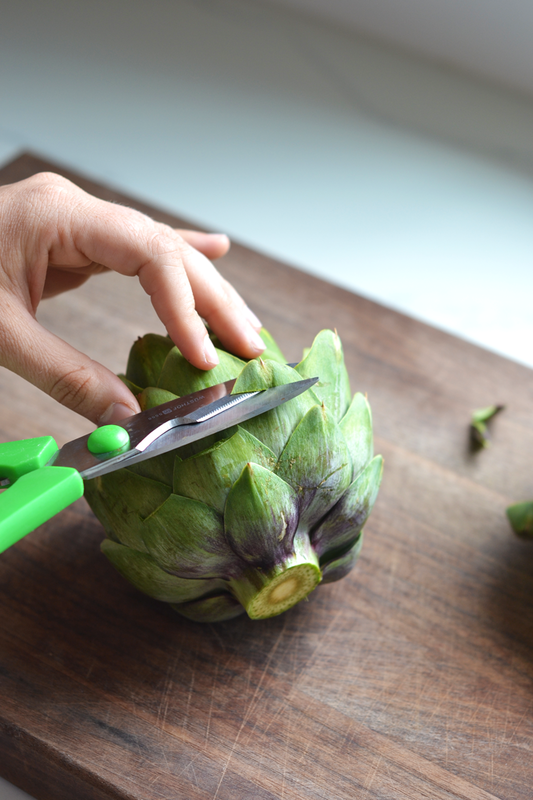 Prepare artichokes by slicing off most of the stalk, trimming the tip of the leaves off and slicing about and inch off the tip of the artichoke. Bring a large pot of water to a boil and add in artichokes stalk side down. Cover and boil for 20-25 minutes or until you can easily pull off a leaf (using tongs!). Dry off the artichokes a bit then arrange them on a large platter. Place 3 small dipping bowls on the platter as well and fill them with the 3 sauces. Slice the bell peppers into strips and place them and the cucumber slices around the platter to fill in any empty space. (The fuller the prettier!) Enjoy! Blend all ingredients in a blender on high until smooth. Whisk all ingredients together in a small bowl until they come together into a smooth sauce. This looks amazing! I have never had artichoke before and I have been wanting to eat it but didn’t know what to do with it, so thanks so much! This looks so good! Plus it makes a great presentation. Thanks so much!! It definitely is a great dish to bring to a party, looks impressive!